– In case of emergency: 112. The visiting hours for private doctors (on weekdays) are: 09:00 – 13:00 / 16:00 – 19:00. Medicine can be purchased at pharmacies on presentation of a doctor’s prescription. 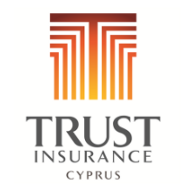 Almost all brands of medicine are available in Cyprus. Pharmacies are all marked with a green cross. – Traffic moves on the LEFT hand-side of the road, NOT on the right. – International road traffic signs are in use, and placed along the roads and highways, on the left hand-side. – Distances and road speed limits are posted in kilometres and kilometres -per hour (km/h) respectively. – The maximum speed limit on the motorways is 100 km/h and the lower speed limit is 65 km/h. – On all other roads the general speed limit is 80 km/h, unless a lower one is indicated. – In built-up areas, the speed limit is generally 50km/h, unless a different one is indicated. – The use of seat–belts is compulsory (front and back). – Children must use the child restraint appropriate for their weight. – Children can travel in the rear and use an adult belt in a taxi if the right child restraint is not available. – Rear facing baby seats must NOT be used in a seat protected by a frontal air bag unless the air bag has been deactivated manually or automatically. – Rush hours in the towns are approximately between 07:30 – 08:00 / 13:00 – 15:30 and in late afternoon 17:00 – 18:00 in winter, or 18:00 – 19:00 in summer. – Due to the intense brightness of the clear Mediterranean sky, drivers are advised to wear sunglasses. – Driving, or being in charge of a motor vehicle or pedal cycle with alcohol concentration in breath or blood above the prescribed limit, is an offence. The permissible limit in the blood is 50 milligrams of alcohol in 100 millilitres of blood (BAC 0,5mg/ml). The permissible limit in breath is up to 22 micrograms of alcohol in 100 millilitres of exhaled air. – In case of an accident, call 112 immediately. – Hands free during driving is mandatory. During driving, the driver should take all necessary measures to ensure that his/her hands are free at all times in order to have full control of the vehicle. Therefore the use of a mobile phone is strictly prohibited. – Walk on the pavement. If there is no pavement, walk on the right side of the road. (ie. towards the oncoming traffic). – Look both to your right and left before crossing any road. – Pedestrians are not allowed to enter motorways, nor are they allowed to walk on the edge of the motorway. – Before boarding, ensure that the vessel has a valid certificate. – The crew onboard should demonstrate how to use all lifesaving equipment in the event of an emergency. If a demonstration does not take place, passengers have the right to insist on a demonstration. – Do not swim after consuming food or alcohol. – Avoid jumping into the sea from the upper decks of the vessel or from unsuitable springboards. – Do not throw rubbish into the sea. – Do not enter areas that are intended only for crewmembers. – Remain seated when the boat is moving at high speed and follow the instructions issued by the Skipper and crew. – Notify family and friends of your intended return time. – In the event of a medical or non-medical issue, inform the crew and the Skipper of the vessel immediately. – Do not rent a HSB or JS after consuming alcohol. – Ensure that you only rent a HSB or JS from an authorised watersports facility. – Check that the HSB or JS has a valid license. – Before you set out, ensure that you are familiar with the HSB or JS. – The operation of a HSB or JS should be fully demonstrated to you before you set out, along with its lifesaving, fire fighting, lighting, communications, and medical equipment. – If you do not hold a valid powerboat operators license, ensure that you and the owner/operator have both signed the binding declaration. – Ensure that you have fully understood the rules of navigation, as well as the dangers to be avoided. – Ensure that you have the kill switch lanyard attached to your hands at all times. – Keep constant watch of the HSB or JS course. – Operate the HSB or JS at a safe speed at all times. – Take care to navigate outside the marked bathers’ area, and be aware of swimmers or divers outside the marked bathers’ area. – Always avoid dangerous manoeuvres or abrupt course changes that may cause a collision with another HSB or JS, or can create waves that may cause imbalance to passengers of another HBS or JS, or result in bodily harm or injury to swimmers or divers. – Ensure that you do not exceed the number of persons permitted in/on the HSB or JS; as stated on the license. – Ensure that all persons in/on the HBS or JS remain seated at all times and are wearing life jackets of at least 100N buoyancy. – Avoid smoking near the fuel tank. – If you need to use a fire extinguisher, firstly consider the wind direction. – In the event of an engine problem on a HSB, remain calm; throw down your anchor so as to minimise the drift of your boat by the water currents, and then call The Search and Rescue Coordination Centre, or the nearest Marine Police Station using either the VHF/FM channel 16 or the Emergency Number 1441. – If you are going to participate in water sports such as parasailing, inflatable banana or water ski, ensure that the boat and its equipment have a valid circulation license, and that the boat operator holds a valid operator’s license.